Ringing in the new year with two new tracks from her first artist album ‘Relentless’, Sydney Blu unveils ‘Vnderground’ and ‘It Doesn't Matter’ out on KMS Records today. Relentless will showcase the new Sydney Blu sound, releasing each single on various underground labels throughout 2015. 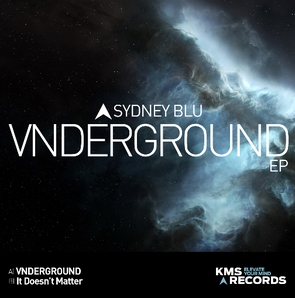 The ‘Vnderground EP’ is one which caught the attention of label boss Kevin Saunderson, and is Sydney's debut on KMS Records. The ‘Vnderground’ track takes over with its immediate intro, which swirls into a vortex of a sense of urgency. The bassline finally kicks in with its melodramatic drop. Manic vocals chime in around the breakdown, as she screams about having control over her own fun. On ‘It Doesn't Matter’, Sydney jumps on these vocals as she mimics an ex-boyfriend who used to say "It Doesn't Matter" whenever there was a fight. Paired with tech house and twinkling keys, the track makes for an ideal match in this EP - melodic and dreamy at the breakdown, while looping in jaunty elements of underground techno. Sydney will be playing at PACHA NYC followed by Pearl Nightclub, Rochester New York on 23 January, while the end of the month brings The Groove Cruise, where she will be sailing abroad on the Norwegian Pearl, to play on a private island for two days.